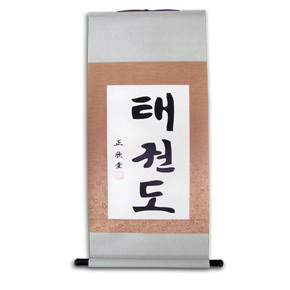 Taekwondo scroll of calligraphy inscribed with Korean Characters. Made of Rice Paper with silk edges. Size: 1.10M in length and 0.38M in width.